The newly created flare-responsive hydrogel is made from triglycerol monostearate (TG-18), a compound from the Food and Drug Administration’s list of “generally recognized as safe” compounds. TG-18 is a molecule capable of self-assembling, meaning that it can form a gel-like structure comprising fibers. This structure can be easily injected as a suspension In this study, the TG-18 hydrogel was loaded with triamcinolone acetonide (TA) used here as a model drug, but could potentially be loaded with many other kinds of anti-inflammatory compounds. “The hydrogel is designed so that drug release is triggered by the activity of specific, arthritis-related enzymes that are increased during flares. To test the TG-18 hydrogel, we exposed the gel to several different kinds of environments mimicking conditions in arthritic joints,” said Nitin Joshi, co-first author on the work an Instructor of Medicine at BWH. When the gel was incubated in synovial fluid from a healthy human joint, drug release was minimal, but when incubated in synovial fluid from a patient with rheumatoid arthritis, the drug was readily released from the hydrogel. Importantly, the drug supply was not exhausted in one spike of synovial fluid — instead, it could be released in response to multiple spikes over time. The team also tested hydrogel’s effects on cells from cartilage and joints, finding that it appeared to be safe. The team further tested the clinical efficacy of the TG-18 hydrogel in a mouse model of inflammatory arthritis. They choose a model, the K/BxN serum transfer model, in which disease severity can be precisely controlled, which allowed them to test the hydrogel in animals with different degrees of arthritis severity. 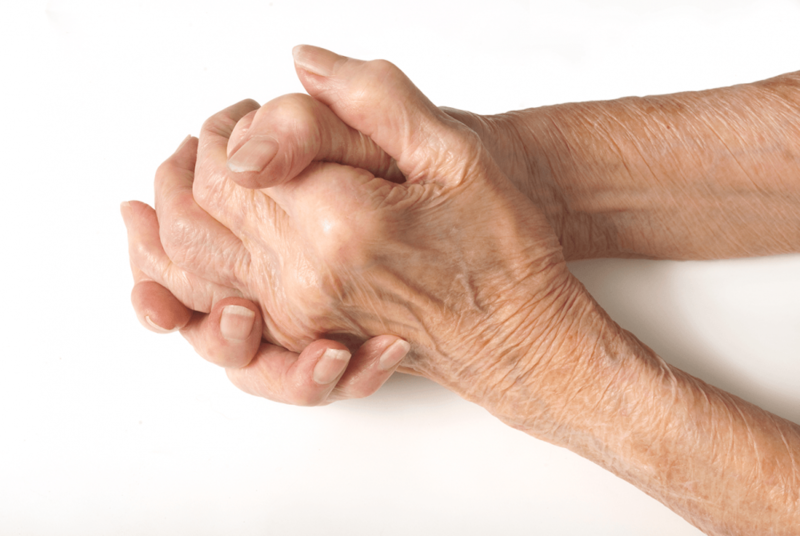 They found that when arthritis was more severe, the locally injected hydrogel degraded more rapidly corresponding to increased drug release. Swelling and severity of arthritis diminished in response to the drug-loaded hydrogel.